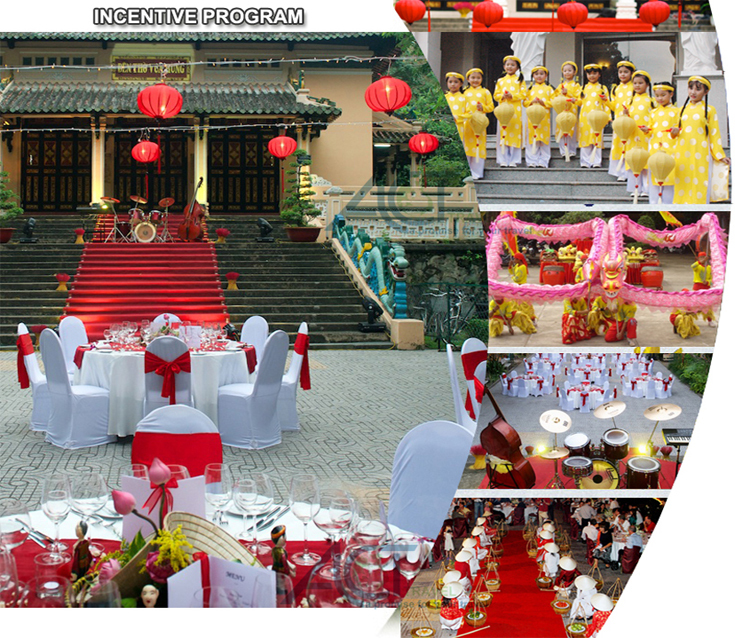 Incentive Tours | We are leading MICE Organizer in Vietnam. 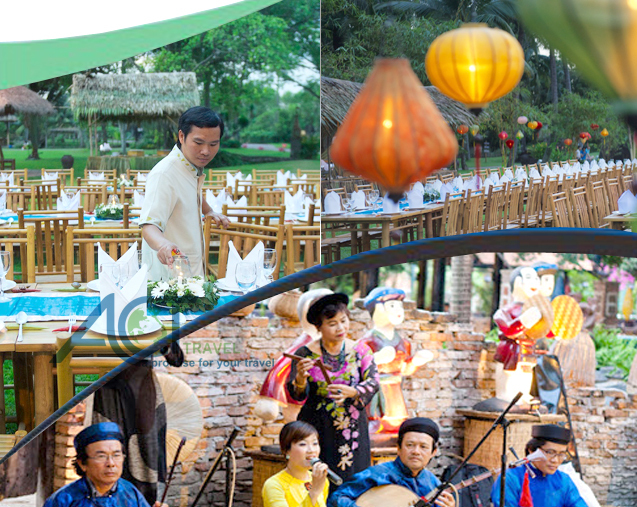 ACT Travel (Former name: Asia – Pacific Conventions & Tourism) is the leading MICE Organizer in Vietnam and ASEAN region. 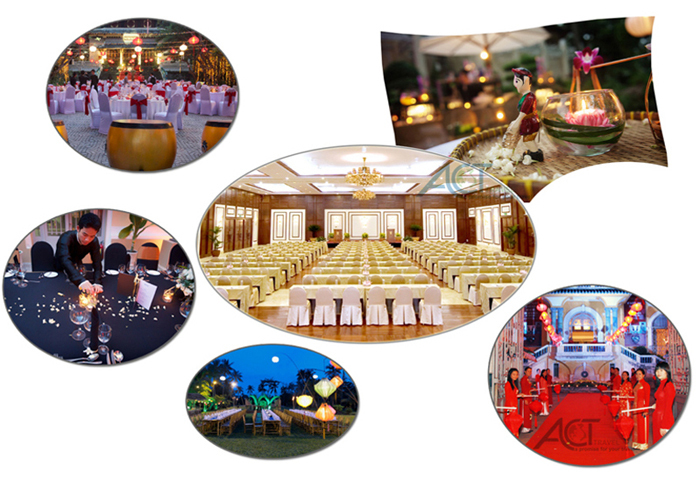 We have managed events in Vietnam, Laos, Cambodia and Thailand since 2000. Our organization specializes in providing a wide range of support and logistics services for the organization of conferences, incentive programs, congresses, corporate meetings, seminars, conventions, product launches and special interest groups.We can help you find the right venue and destination which makes sense considering your budget, attendees and what you are wanting to accomplish. With over 15 years of meeting management experience and working with corporations in various industries producing programs in our area, our multi-lingual meeting savvy team will help you with every facet of planning, implementation and post-program analysis. We know the exact objective of any meeting, applies the finest arts of creativity and innovation, thus providing the keys to a spectacular achievement and ultimate success of any event. Our creative and flexible team is here to brainstorm with you in pursuit of original ideas. We’re a diverse team, each member having their own unique skills that will in turn provide you with that effective and memorable conference you were hoping for. We have developed a basic conference checklist to make conference management smooth sailing – it’s a generic list and you use only the details you need for your particular event. If you plan on using our conference management service, you can be assured we are working from important checklists tailored specially for your event and you can use this basic checklist to follow some broad guidelines we are working from for your event…. The key to a successful event is a great idea that is well managed and creatively executed. With our superb production skills, inspired ingenuity and advanced understanding of client need, we create some of the finest incentive travel program that the industry has seen – from concept through to production, both on time and on budget. 1. Ho Chi Minh and Mekong delta 05 days. Day 01: Ho Chi Minh arrival. 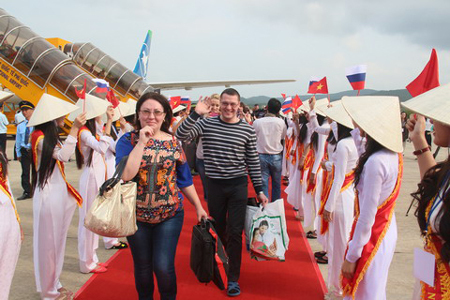 On arrival at the airport or hotel, guests are met by ladies in traditional Vietnamese dress presenting a jasmine floral garland to each guest. Transfer to your hotel for private check in, enjoy welcome drink and live music when check in. (No waiting – No getting line). Guests will be met at the Aero-bridge with name sign. Airport Service Team will pick up Guest(s) at Aero-bridge. Private area for group check-in. Assistance with luggage (collecting off of conveyor belt & bringing it outside airport). Welcome flower presented to each by ladies in traditional dress. Baggage transferred to hotel by separate conveyance. Evening. Clients enjoy welcome dinner at Nam Phan restaurant - This newest addition to the dining scene is elegantly decorated offering some of the most exquisite Vietnamese dishes in all of Saigon. Enjoy Vietnamese set dinner with private section of dining room. Enjoy 02 hour drinks package including wine, beer, soft drinks, mineral water & Vietnamese tea. 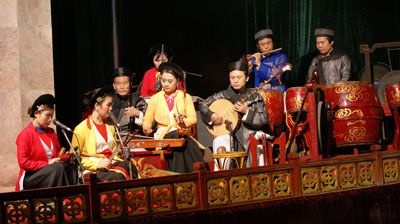 Enjoy Traditional musicians to perform during dinner. Transfer back to Hotel and overnight in Park Hyatt – The most luxury hotel in Saigon. Day 02: Ho Chi Minh - Mekong Delta. Journey south to the Mekong delta, known as the ‘rice bowl of Vietnam’, and spend a full day exploring one of Vietnam’s most fertile regions and the main cultivation area of rice and tropical fruits. We transfer to My Tho city (02 hour). It‘s famous for its extensive orchards and immense rice fields. On arrival, take a leisurely boat trip around the four beautiful islands known as Dragon, Unicorn, Phoenix and Tortoise islands (04 sacred animals of Buddhism). Enjoy a rowing boat ride in the shadows of the water-coconut palms along the tiny canals. Enjoy fresh coconut juice on boat. We will visit the picturesque orchards and sample the freshly picked fruit at the invitation of friendly local farmers. Spend some time in the villages to learn about the daily lives of the inhabitants, enjoying some kinds of tropical fruits while listening the Southern traditional music. The highlight of your day is a fascinating boat trip on the Mekong River, where you'll see all manner of boats - from dug out canoes to barges and houseboats to passenger ferries. Many of the wooden boats have an unusual "eye" painted on their bows. We continue to “Coconuts homeland”, Ben Tre - Where you can learn how to make coconut candy. You can try some candies, visit the honey bee farm and try the honey, banana wine, ginger jams, soy beans… made by the villagers. Enjoy a horse-cart around the village to have a look at the orchards and visit local people’s house. Enjoy a relaxing cup of honey tea before returning to My Tho via a natural canal, cruising under the shadows of water coconut palms. A seafood lunch will be served at a local restaurant overlooking a tributary of the Mekong. The exotic specialty here is freshly caught Elephant Ear Fish wrapped in rice paper. Free flow of soft drinks, water and beer during lunch. Enjoy a fantastic dinner at the Mandarin Restaurant serving delicious Vietnamese cuisine in beautiful surroundings. Private section of the restaurant. 02 hour beverage package including free flow house wine, beer, soft drinks and water. Day 03: Saigon - Cu Chi Tunnels. We drive to Cu Chi district, 50 km to the northwest of Saigon city. Stop at a rice-paper making demonstration and rice wine tasting within the tunnels complex. The incredible underground network in Cu Chi stretched over 200 kilometers and became legendary during the American war. The extensive tunnels have been specially constructed with living areas, storage facilities, weapon factories, filed hospitals, command center, plus accommodation. We can arrange for the group to enjoy shooting at the Cu Chi Tunnels Shooting Range where they can experience firing off AK47’s, M-16’s or Russian carbine rifle. Guest to meet with a veteran who will tell the group stories about his experience fighting in the area against the north Vietnamese and US Military. Rustic type of food stations set up using wooden and bamboo stands, clay pots, shovels, etc. to fit within the feel of the area. Transfer back to city. Free your time at leisure for the rest of afternoon. Tonight. You will enjoy a special Gala Dinner at the Ho Chi Minh City Opera House. Enjoy an evening in the heart of the city at one of Saigon’s most impressive locations, the historic Ho Chi Minh City Opera House centrally located on Lam Son Square. Just a short walk from your hotel, upon arrival you will be greeted by girls in Ao Dais on the steps of the Opera House. Enjoy pre-dinner drinks in the foyer area decorated with floral displays before being invited to enjoy a performance and dinner in the main theater on the actual stage. Clients will me greet by 18 ladies to greet guests on front steps of Opera House red Ao dais holding gold silk red lanterns. Then enjoy the Dragon Dance while moving into the theatre. Enjoy the dance perform and special dinner with 03 hour free flow of standard spirits, house wine, beer, soft drinks and mineral water. 5 x large floral standing sprays in foyer area as decoration for arrival and floral garlands around banisters of 2 x staircases in the foyer. Each table decorated with red & white floral or all white floral with green arrangements and candles and rose flowers scattered on table tops. Small stage with podium to speak or collect an award. Day 04: Half day conference - City tour. Have your lunch at Maxim An Nam restaurant. Enjoy a sumptuous Vietnamese set dinner at Maxim An Nam Restaurant. A Vietnamese fine dining restaurant specializing in cuisine, housed in a luxuriously renovated in heart of town. 1.5 hour beverage package including free flow house wine, beer, soft drinks and water. 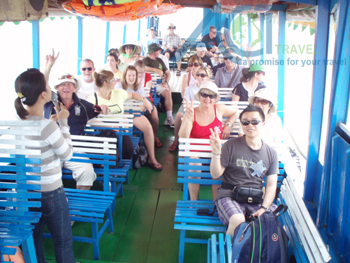 Afternoon enjoy Saigon city tour by cyclo. This afternoon discover the contrasts of bustling Ho Chi Minh City, still commonly referred to as Saigon. Amongst the grand old buildings, you will see colourful markets selling everything from chillies to French bread and, of course, an endless stream of bicycles, cyclos and motorbikes. Tonight: Board your private boat for a moonlit journey complete with cocktails and canapés to Binh Quoi Village for an unforgettable journey into – ‘Saigon Nights’. In the tranquil gardens of the Binh Quoi Village by the river, you will be tantalised by a feast of local cuisine: spicy prawn soup, beef in aromatic leaves, pork kebabs with lemongrass and some of the freshest exotic fruit you have had to good fortune to enjoy. You will enjoy the Traditional Water Puppet Performance, Vietnam traditional wedding show and “Ao Dai” Fashion Show before dinner with 02 hour drinks package during dinner including free flow house wine, beer, soft drinks and mineral water. Transfer back to Hotel and overnight in Park Hyatt - The most luxury hotel in Saigon. Transfer from your hotel to Tan Son Nhat airport to check in for the International flight. Should Travel Agents/Tour Operators/Organizations have frequent incentive groups coming to Vietnam, Cambodia, Laos, Myanmar and Thailand please contact Mr Tran to receive special programs.